Supporting virtually any workload for over a million active customers in 190 Countries, Amazon Web Services (AWS) provides the most secure and certified commercially available cloud platform. Constantly evolving, AWS has 10x more infrastructure than the other top 14 cloud providers combined. This has enabled them to announce successive price reductions and an unparalleled number of new service announcements to meet an ever widening demand for their platform. Eagle Technology is proud to be a qualified Consulting Partner and reseller. The CTERA Cloud Storage Platform allows enterprises to leverage both private and public cloud infrastructure to provision storage services to remote sites and mobile workers. It uses a combination of cloud storage gateways, end-point agents, mobile apps and a cloud management portal to deliver a secure, WAN-optimized solution that is easy to deploy and manage. DigitalGlobe provides geospatial information that gives customers the confidence to make critical decisions. The smallsat industry is changing the market dynamics of space. HawkEye 360 is developing a geospatial information solution that will use radio frequency (RF) technology to help monitor global activity across air, land and sea and assist with emergencies. HawkEye's constellation of small satellites in low Earth orbit (LEO) will collect information on specific radio signals worldwide to provide high-precision radio frequency mapping and analytics that can be customised to our clients’ needs. 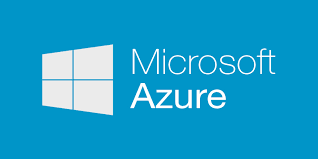 Azure is Microsoft’s rapidly developing cloud platform and is positioned as a Leader across Gartner’s Magic Quadrants for Cloud Infrastructure as a Service, Application Platform as a Service, and Cloud Storage Services for the second consecutive year. Leveraging significant cost benefits across the Microsoft software portfolio results in significant benefits for those organisations already committed to the Microsoft software environment. Eagle Technology is proud to be a qualified Cloud Solution Provider (CSP) and reseller. SITAWARE C4I SUITE: SitaWare provides all essential Command & Control and Battle Management capabilities right out of the box, including the all-important interoperability capabilities that allow nations to exchange battlespace information with coalition partners.